I joined Cooney Lees Morgan in 1982 and became a partner in 1986. I have over 30 years experience in the private client and property area, and currently head up the team which regularly advises territorial authorities on a broad range of property matters. I also act for private clients in relation to all aspects of property transactions and provide advice in the area of trusts and asset planning. I work with many of our major clients, including Tauranga City Council, and a wide range of smaller enterprises. The health sector is one of my particular interests and one with which I have had a long association. Admitted to the bar in February 1980, I initially practiced for three years with Auckland firm Wallace McLean Bawden & Partners (one of the firms to later merge and become Kensington Swan). I am currently on the Executive of the Waikato Bay of Plenty Division Cancer Society of New Zealand Inc.
I’m a strong believer in work-life balance and I encourage all our staff to make the most of the recreational choices that are close at hand in the Bay of Plenty. It’s so easy to go for a run after work or to the beach with the family, or head to the mountain on the weekend.  A highlight of my career has been seeing the firm grow and having the reputation to attract top legal talent and clients with interesting and challenging legal work.